The Pakistan Super League (PSL) would have done with India's support. The Indian Premier League (IPL) doesn't necessarily need Pakistan. Pakistan continues to be childish. After refusing to attend an Organisation of Islamic Cooperation (OIC) summit over an invitation to India, to calling for punitive action on India for as small an issue as Virat Kohli and Co sporting military caps in an ODI, Pakistan has time and again shown its immaturity. Pakistan banning the telecast of the Indian Premier League (IPL) in the country is another example of that immaturity. 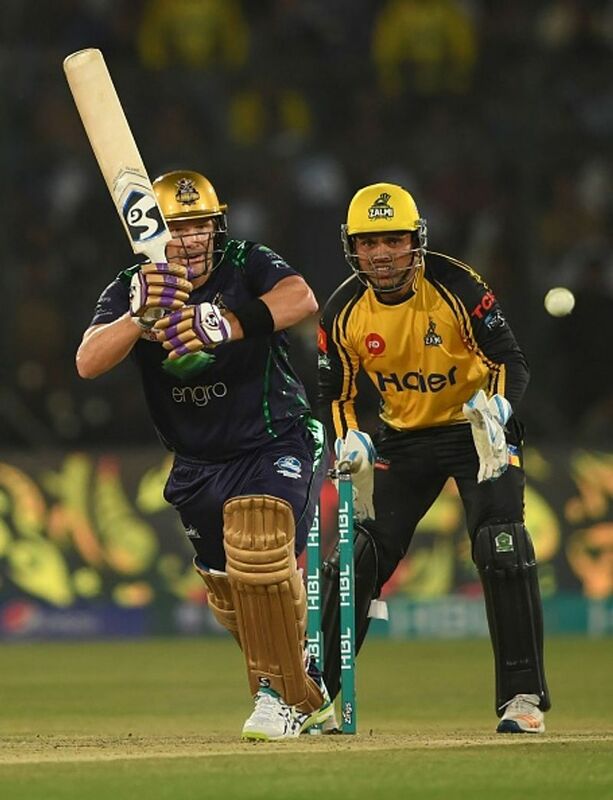 Apparently, it was a decision taken in retaliation to the official Indian broadcaster of the Pakistan Super League (PSL) pulling out midway through the tournament in the wake of the February 14 Pulwama attack. The Pakistan government claims that "India has made an organised effort to harm cricket in Pakistan". India has constantly refused to play bilateral cricket with Pakistan. Pakistan has begged India to play with them and even threatened legal action but to no avail. India has always maintained that fun and games can't happen under the shadow of the gun. Bilateral talks have also been suspended. After Pulwama, there have also been calls from India on boycotting its World Cup match against Pakistan. India's IMG-Reliance had cancelled its association with the PSL. India has not allowed Pakistan players to be part of the lucrative IPL, despite the latter imploring the Board of Control for Cricket in India (BCCI) to let them in. A simple comparison between the player salaries and prize money in the IPL and PSL would show the gap between the two leagues. The highest-paid players in the PSL get between £125,000 to £195,000 (approximately Rs 1.13 crore to Rs 1.77 crore). This is far less than what the highest paid players in the IPL get. In the IPL, a Virat Kohli is offered Rs 17 crore, and an MS Dhoni Rs 15 crore. 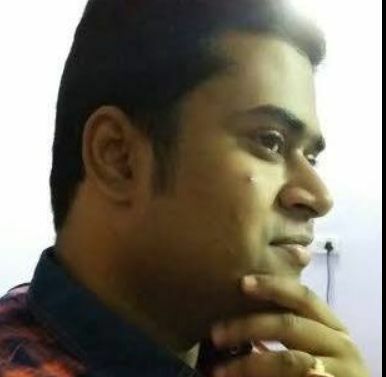 Even a player with significantly lesser ability than Kohli or Dhoni, like Jaydev Unadkat, is offered Rs 11.5 crore. An unheralded Varun Chakravarthy takes away Rs 8.4 crore. In terms of prize money, the gap is pretty stark too. Chennai Super Kings got Rs 20 crore (nearly $2.9 million) for winning the IPL last year, with Rs 10 crore (nearly $1.5 million) going to the franchise and the other Rs 10 crore being divided equally among the squad members. The runners-up Sunrisers Hyderabad got Rs 12.5 crore (around Rs 1.8 crore). In the PSL, the prize money offered was $1 million for the champions and $700,000 for the runners-up. Pakistan players commanded big money in the IPL when the relations between the two countries were not as bad. Shahid Afridi got $675,000, Mohammed Asif $650,000, Shoaib Malik $500,000 and Shoaib Akhtar $425,000 in the IPL auctions before the inaugural edition in 2008. That was more than what the likes of Ricky Ponting, Matthew Hayden, AB de Villiers and Michael Hussey got. The Pakistan players were snubbed in the third edition of the IPL, and according to a 2010 report, they could have more money in the 45-odd days of the IPL than they earn from international cricket and endorsement deals in the whole year. The report stated that the Pakistan Cricket Board (PCB) paid top Pakistani players like Afridi a yearly salary of Rs 16 lakh. Added to that is Rs 1.9 lakh for a Test, Rs 1.6 lakh for an ODI and Rs 70,000 for a T20I. A frontline Indian cricketer, on the other hand, was getting Rs 60 lakh per annum from the BCCI. Moreover, according to industry sources, marquee Indian players like Dhoni refused to touch any endorsement deal that was less than Rs 8 crore, while the most popular Pakistani player, Afridi had to be satisfied with no more than Rs 2 crore. When so much of money is spent on an event, it is bound to be attractive and full of glamour. The Pakistani fans would be missing out on the opportunity to witness that gala show. Their PSL pales in comparison. Also the Pakistan government acting on terrorism might convince India to resume cricket ties and let the Pakistani players be a part of the IPL. Such hard stance like banning IPL telecast, on the other hand, would only work against Pakistan. The final of PSL 2017 between Peshawar Zalmi and Quetta Gladiators was watched online by more Indians than even Pakistanis, according to data released by the competition's official online streaming partner Cricket Gateway. As much as 28.22% of the total online viewership of the PSL final came from India. Pakistanis contributed 21.47% of the total viewership. So India is a big market and profit-generator for the PSL. Hence, Pakistan will be significantly hurt by the stopping of PSL telecast in India. In sharp contrast, IPL 2017 notched up a cumulative viewership of 185.7 million in just three matches. 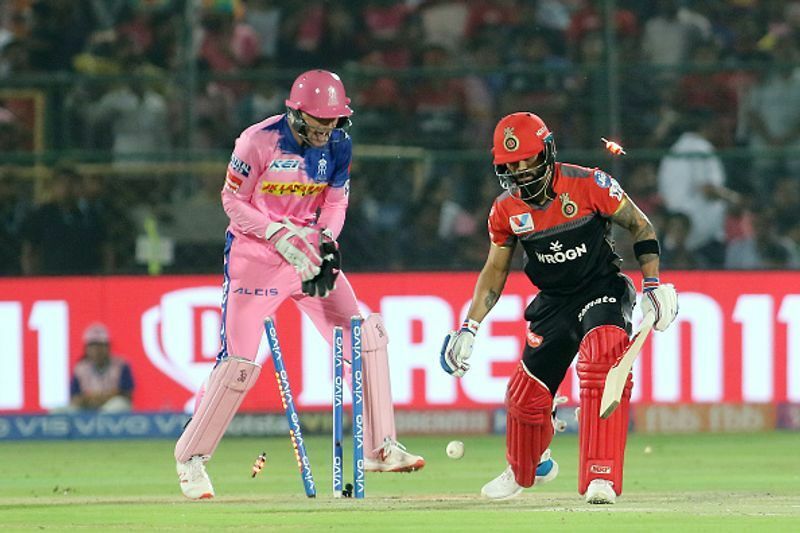 The IPL's online viewership doubled in 2018, adding over 200 million viewers. The CSK versus SRH final in 2018 witnessed a new global record in online viewership being set, with 8.26 million concurrent users on Hotstar. According to figures provided by the Broadcast Audience Research Council India, a staggering 450 million people tuned in to watch the IPL last year. The final alone saw 173 million viewers, which was a 43% year-on-year increase. The PSL in 2017 reportedly saw over one million viewership in three days. It saw 12 million views online. It was calculated in 2013 that two-thirds of Pakistan's 182 million-strong population have access to cable television. By that logic, around 65 million people tune in to the PSL during peak periods. Add to that viewership figures from abroad. But still, the numbers would be far less than what the IPL commands. Stopping of its Indian traffic will bring down its viewership numbers sharply. Clearly, the PSL would have done with India's support. The IPL, however, doesn't necessarily need Pakistan. What Pakistan can least afford is to go on a path of confrontation with India. The historic 2004 series saw India visiting Pakistan. Sourav Ganguly's team not just won the Test and ODI series there, but won hearts too, as the then Indian Prime Minister Atal Bihari Vajpayee had wanted them to. That series was made possible as the two sides had withdrawn their troops from the international border in October 2002 and a ceasefire agreement was in place since November 2003. India-Pakistan relations were the most cordial in recent memory around that time in 2003-04. However, repeated cases of aggression by Pakistan and the terrorists that it nurtures had soured the relationship again. There have been attacks like 26/11, Pathankot, Uri and Pulwama. Pakistan would help its own cause by shunning terrorism and paving the way for dialogue and resumption of cultural ties (including cricket). 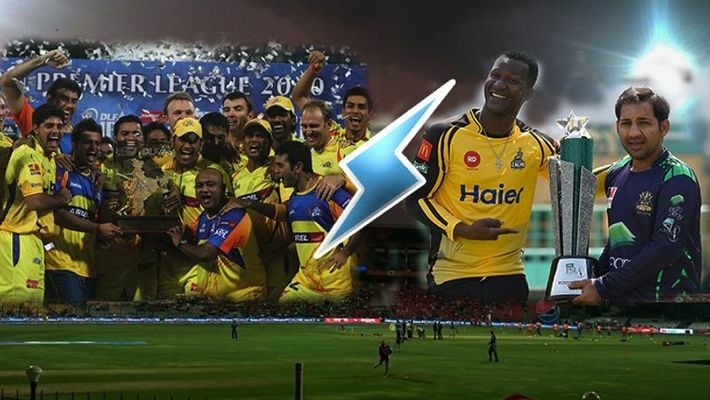 According to a report, PSL franchises have suspected players like Joffra Archer and Dwayne Bravo to not give their hundred percent and saving themselves for the IPL, where they are paid big bucks. Archer had pulled out of a crucial match in the PSL and Bravo didn't report for duty in the PSL as early as he should have. There could be truth in this suspicion as the IPL is any day the most attractive T20 league in the world, in terms of both money and glamour.